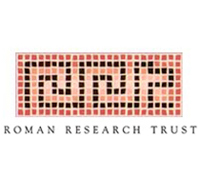 At many of the sites where CLASP has worked (including Nether Heyford and Bannaventa), there have been traces of earlier occupation during the Iron Age – however, the main focus of CLASP’s work up to now has tended to be on the Roman-period, since that produced a great deal more enduring archaeology. The reports listed here all cover projects, recently undertaken by teams from CLASP, that are specific to the Iron Age in Northamptonshire. 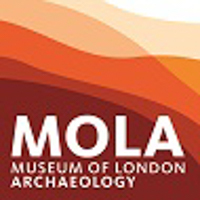 All the reports have been sent to the HER, and have also been copied to MOLA(N) who have shown considerable interest in our work on these Iron Age aspects of Northamptonshire. Three successive detailed site reports on our work at the Barby Hill Iron Age settlement (NB: It’s NOT a hillfort, since it has no manmade surrounding defences such as a ditch and/or bank). 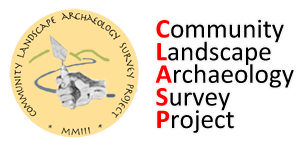 In addition to CLASP’s own team who worked on the whole of the hilltop over a 4-year period, Cotswold Archaeology also worked in one small (but important) corner of the site – they are issuing a separate report on their work, which will contain significant mention of CLASP’s complementary work on the site. Site reports on each of the thirteen Northants Iron Age Hillforts that we have surveyed over a 2-year period. This was CLASP’s contribution to the national Hillforts Atlas project jointly run by Oxford University and Edinburgh University. Our reports will be incorporated into the national survey and the Internet-based Hillforts Atlas, which is currently in preparation. (NB: A warning – the report format was laid down by Oxford University, and it does not ideally suit the type of data that we were able to gather. The most relevant (and informative) part of each of our reports is the General Comments, Section 5 of each report; it is suggested that CLASP members will probably find that section the most interesting. A 50-page detailed report analysing the survey material contained in the reports in (b). This is an interpretative report, which studies and compares the basic data in the various individual reports, and suggests explanations of the possible functions and purposes of the sites. This 2-year project brought to light some new aspects not explored in previous surveys of these hillfort sites. Also, this report looks at Northamptonshire (and its neighbouring counties) holistically, whereas previous work has tended to focus on each individual site without considering possible interactions between the network of sites.